Brisant’s new Domestic Door Security Report January 2016 presents the most comprehensive and compelling research on security the industry has seen. 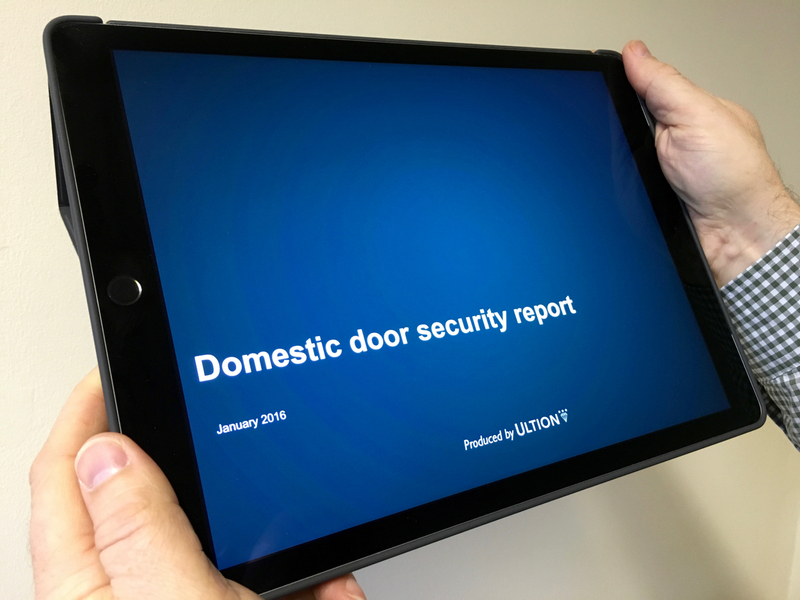 The report, from the creator of Ultion, the top performing high security cylinder door lock, combines the latest national Crime Survey from the Office for National Statistics with recent national polls of homeowners and independent locksmiths. The report reveals that 43% of burglaries through doors are by forcing the lock, and in 9 out of 10 forced lock burglaries entry was gained by snapping. In addition, 85% of homeowners said security was the most important factor when choosing their new door. Brisant CEO Steve Stewart says: “The industry is using out of date and incorrect assumptions based on thirty year old ‘facts’ from small sample surveys and best guesses based on what people believed without much foundation. We decided to commission in two large-scale national surveys of 671 homeowners and 306 locksmiths to distinguish fact from opinion masquerading as fact. We then took the findings from these two surveys and combined information from the National Crime Survey which is regarded as the authoritative source of UK crime statistics. To download the report visit www.ultion-lock.co.uk/in-the-news.